If you own a cell phone, there is a good chance that you are currently locked into a mobile contract plan that doesn’t allow you the freedom or flexibility you would wish for. While there are some benefits of having a contract with a mobile carrier, the negative aspects far outweigh the few benefits they provide. 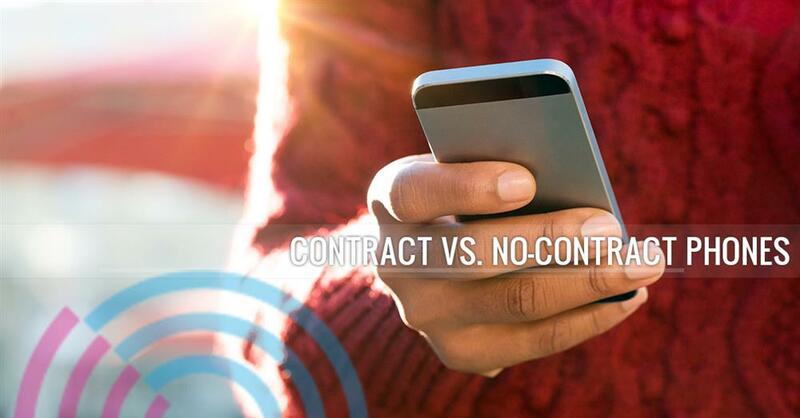 If you have never heard of a no-contract phone, or are looking for alternatives to your current mobile plan, you may want to consider reading about the benefits that no-contract phones can provide their users. Many people find that no-contract phones offer the same perks that mobile carriers offer their customers, but at a much lower cost. Throughout this article, we will highlight some of the many benefits that no-contract phones provide their users, while listing some of the drawbacks that individuals experience by using a major mobile carrier. If you are considering switching cell phone plans, learn more about all that REAL Mobile has to offer its customers. We offer many of the same major phone brands that larger mobile carriers offer, and allow our customers affordable no-contract phone plans that are much more friendly than some of the daunting mobile plans that contract carriers require. Read more below to learn more about the benefits of no-contract phone plans and why REAL Mobile is an exceptional choice for your next unlocked mobile phone. When compared to contract plans from major mobile carriers, no-contract plans will save you far more money in the long run. As a no-contract customer, you will not experience the additional fees that accumulate to a substantial amount over time like you would when tied to a contract with a major carrier. If you’re looking to take a large burden off of your wallet while experiencing the savings that come from not being locked into a mobile contract, a no-contract phone is likely your best option. If you are currently tied to a mobile contract, there’s a high probability that your phone only works with the carrier you are currently paying for. If you are unsatisfied with the quality of your phone calls, the coverage of service in your area, or less than stellar data speeds, there isn’t much you can do. Mobile contracts restrict users from switching from one carrier to another without paying a hefty termination fee, making a long-term contract more of a headache than a convenience. With no-contract phones, however, you can switch your mobile provider whenever you please, as your unlocked phone will work across various carriers. This is a huge benefit for users who are not pleased with their current mobile plan and would like to experience better customer service or a wider range of coverage which they don’t normally have. There may be instances where you won’t be using your phone for an extended period of time. Whether you are traveling to another country, or can’t afford paying for a phone due to unforeseen circumstances, no-contract phones offer a level of flexibility not experienced by users who are locked into mobile contracts with major carriers. While you would normally have to continue paying for your phone plan even when not using your phone, no-contract plans allow you to end your service whenever needed, so that you are paying only for what you use. Many individuals like this most about no-contract phone plans, as it gives them complete freedom of their phone bill without having to continuously pay for services that they don’t use at certain times. If you are one who shudders at the thought of additional payments and hidden fees, a contract phone is probably not right for you. Many major phone carriers require fees for every minor discrepancy. Users who pay for contract plans will experience phone activation fees, rate fees, and many other monthly fees that are bundled into their plan. With no-contract phones, individuals are required to pay far fewer fees, and sometimes aren’t required to pay any fees at all. Small fees tend to add up quickly over time, and can leave you wondering how you spent so much on a phone plan that advertised much cheaper costs. If you are considering starting a contract with a major phone carrier, your first step will be finding a phone that your carrier offers to their customers. All major mobile carriers provide their customers with a limited selection of mobile phones to choose from, leaving you with the potential of being stuck with a phone that you may not like. Comparatively, no-contract plans allow an endless amount of mobile devices to choose from, giving customers the freedom of choice that they deserve. While major mobile carriers incentivize customers with cheaper phones during the beginning of their contract, customers of major mobile carriers will generally end up paying far more in the long run due to monthly fees and data plans. For this reason, it is important to first calculate how much you would be spending over the course of two years on a contract plan versus a no-contract plan. To no surprise, you will generally save a considerable amount of money by choosing a phone under a no-contract plan. While there are benefits to using a mobile phone from a major mobile carrier, no-contract phones often provide customers with far more perks and cost-saving benefits that you wouldn’t normally have at your disposal under a contracted phone. If you are considering switching cell phone plans to a plan that provides you with the freedom and flexibility that you deserve, consider contacting our friendly staff at REAL Mobile. We’ve helped countless customers make the change to a no-contract plan, saving them time, frustration, and a considerable amount of money. Browse any of our no-contract phones today by visiting our online store. We’re devoted to providing the best customer service possible at an affordable price you will love. Browse our online store today to get started!